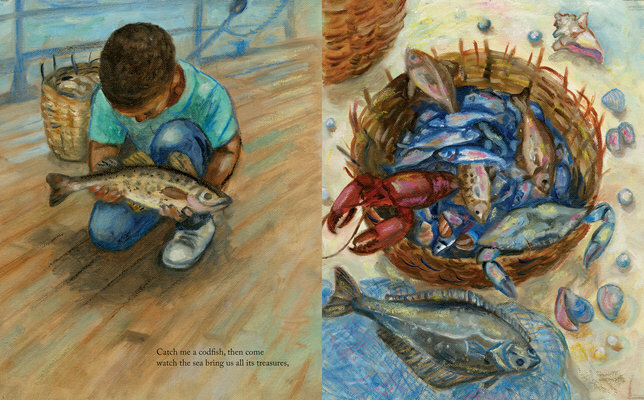 The vibrant picture book Africville was a finalist for the 2018 Governor General’s Award for Literature for Young People. 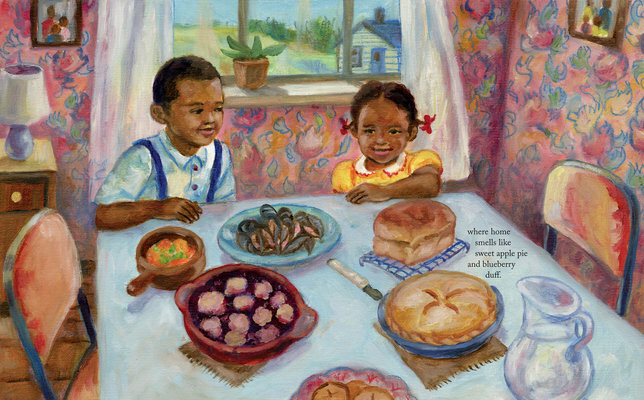 It tells the story of Africville through the eyes of a young girl. This week we’re in conversation with the book’s creators, author Shauntay Grant and illustrator Eva Campbell. In a starred review, Quill & Quire says, "Shauntay Grant’s writing is graceful ... She reaches out to young readers and invites them in ... Visually, Africville is gorgeous. Eva Campbell’s illustrations are arresting; the colours are warm and inviting, and her painterly style enhances the dreamlike quality of the story." Eva Campbell is an artist and illustrator who teaches visual art at Lester B. Pearson College UWC. She has exhibited her work in Canada, the United States, the United Kingdom, Barbados, and Ghana. Eva won the Children’s Africana Book Award for her illustrations in The Matatuby by Eric Walters. She lives in Victoria. Trevor Corkum: The story of Africville has reached a wider audience in recent years, though many Canadians are still unaware of the community and its rich history. Why was it important to tell this story to young people? Shauntay Grant: Most of the books and resources I've seen published about Africville are geared towards an adult audience. But I think it's also important for younger audiences to know about the community. So I wanted to create something for children that could be both an enjoyable read, but also act as a learning resource for parents and educators who want to engage children in deeper conversations about the community and its history. 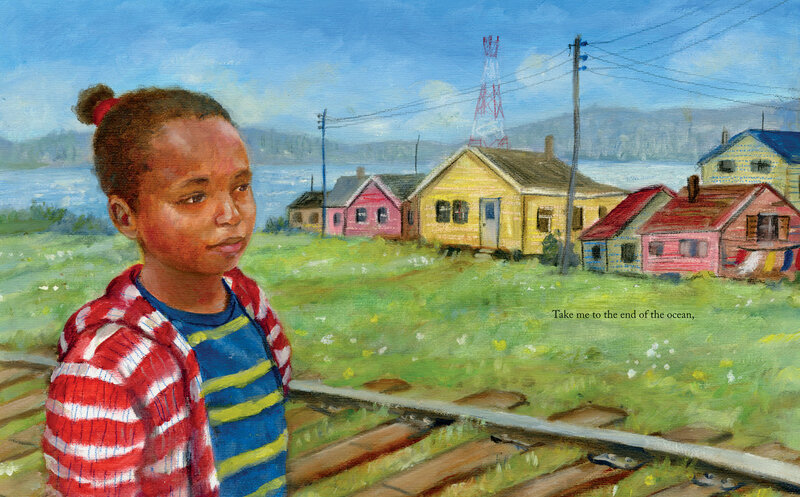 TC: The illustrated book tells the story of a young girl remembering what life was like in Africville. Why did you choose to tell the story through this particular lens? SG: The book is based on a poem I wrote at Africville. That particular day I was trying to imagine what life was like in the community, and those imaginings inspired the poem. And so that lens of someone in the present looking back came naturally. TC: Shauntay, you’re a renowned spoken word artist and former Poet Laureate of Halifax. You’ve also published other award-winning books for young people. Given your profile in Halifax and beyond, what does it mean to write this particular story, one that’s so vital to the community and to Canadian history? SG: This story felt important to tell, and in this particular way. One thing I've noticed is that when Africville is talked about—in the news and other places—much of the discussion revolves around the relocation period, when the community was razed. And that is part of the story, yes, but it is part of a larger history that spans more than 150 years. And when I think about Africville and listen to former residents talk about their community, the theme that keeps resonating is "home." 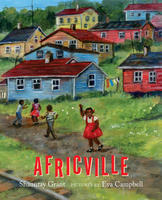 And I wanted to, above all else, celebrate that part of Africville in this book. When I think about Africville and listen to former residents talk about their community, the theme that keeps resonating is "home." TC: Eva, the illustrations are gorgeous—vibrant, bold, warm. You teach art at Pearson College, a school known for its passionate debates about social justice and global issues. What lens did you bring to your illustrations for this work? Eva Campbell: My interest in issues of identity and social justice led me to teaching at Pearson. And the same with the Africville book—I was very interested in the idea of working on a book which highlights the story of Africville, an important part of Canadian history. TC: Finally, the book was a finalist for this year’s Governor General’s Award for Literature for Young People. How has the book been received by readers so far, and what does it mean to receive this kind of recognition from your peers? SG: From what I can tell the reception has been great. And I'm grateful for the recognition the book has received—it means more people will know about Africville, and that means a lot. EC: So far the book has been well received and I think it's an honour to receive this nomination, especially for a book on such a relevant topic.